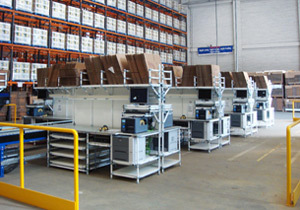 Packing stations are of critical importance in many logistics and distribution operations. It is therefore key that they are designed with optimum productivity in mind. Designs should incorporate best practice ergonomics, allow maximum efficiency and be flexible enough to cope with change. 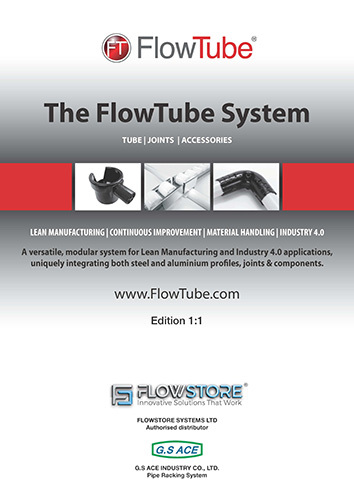 FlowTube is ideal for building packaging workstations and can be used to build anything from a basic packing bench to an integrated packing line. Ergonomic design is not only required for compliance with health and safety regulations, but also is crucial for improving employee comfort and efficiency. An ergonomically designed packing workstation will reduce injuries and fatigue while increasing productivity. 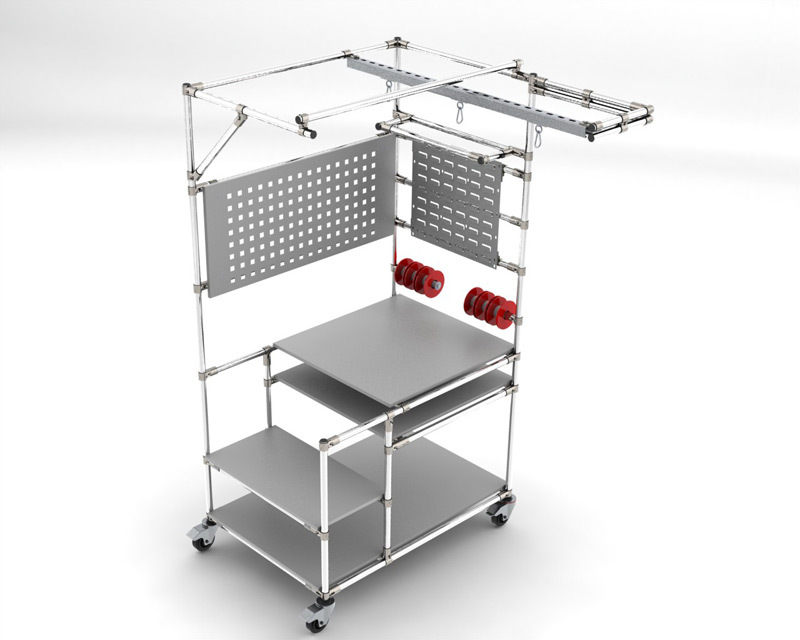 Unlike pre-built workstations all FlowTube equipment is customised, so packing stations can be designed to be as ergonomic as possible for the specific task that will be carried out. Furthermore, because FlowTube equipment is not welded, the layout can be changed easily if ergonomic deficiencies are observed. 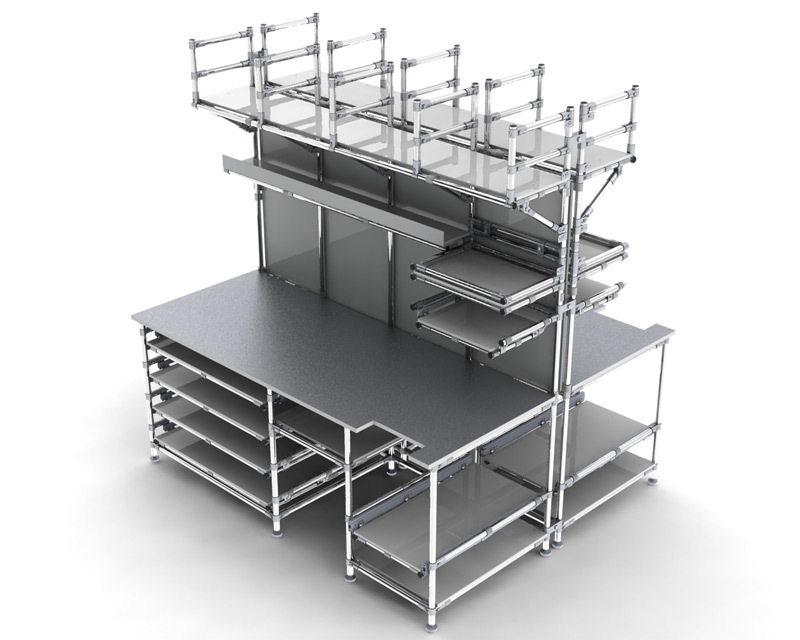 Additional modules can be added to the packing stations for increased storage of materials, supplies and equipment. FlowTube is incredibly flexible and can be used to make everything from a simple packing station to a large-scale fulfilment system. Workstations can be designed to house a varied mix of packing materials and can be reconfigured quickly if those materials change. Integrated replenishment systems can also be incorporated into the packing station so that supplies don't run out. 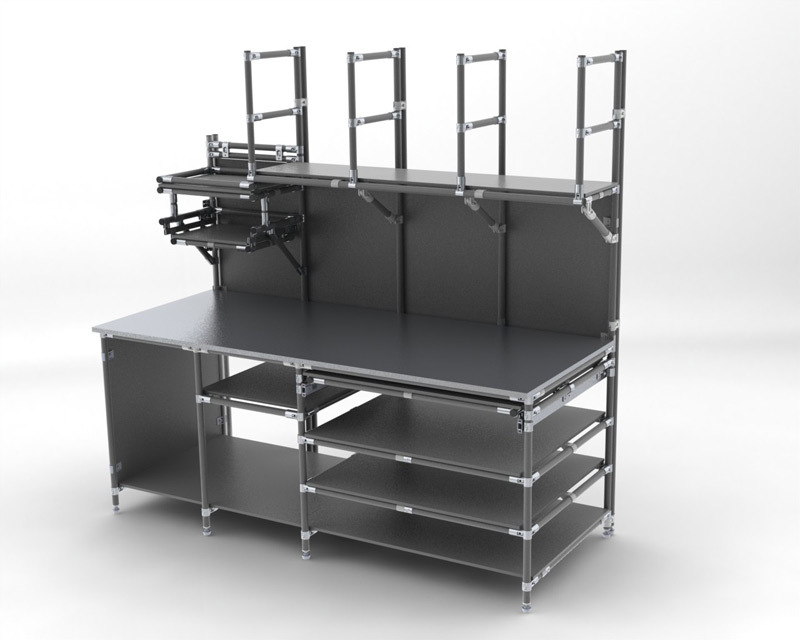 If the workstation is no longer required, it can be disassembled and the parts used to build other FlowTube structures. A well designed FlowTube packing station will place the most frequently used materials close to the operator, making the process more efficient and productive. 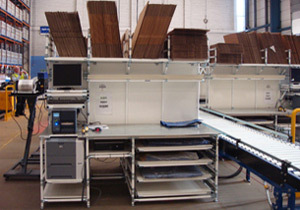 For example an upright channel assembly keeps the work surface open by providing space for shelf storage, packaging materials, and a computer / screen. 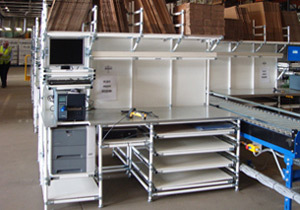 Packing workstations can also be organised around other equipment – for example conveyors –to further optimise workflow. 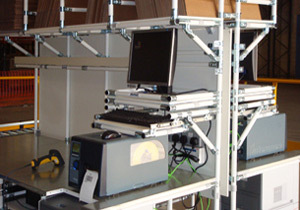 FlowTube can be used to construct the ideal packing station for any situation.